Blogger Navigation Bar (Navbar) is a toolbar by default appears on every Blogger blog, it is used for readers as navigation panel to share, skip, and flag certain blogs. 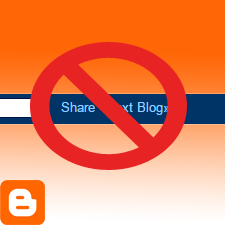 Many bloggers think that it is annoying enough and ruining display of a blog. You can remove Blogger Navigation Bar in 2 methods, I suggest you to do the both to make sure that the bar is completely removed. First, go to your Blogger Dashboard. 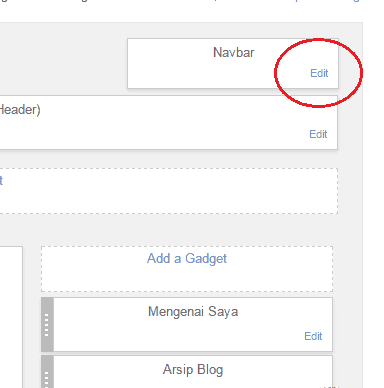 click on the drop-down menu aside from which blog you want to edit, and click on "Layout"
From Blogger Dashboard, click "Layout". Once you're on Layout Editor, look at the top right corner of your layout display and click "Edit" on Navbar section. Click "Edit" on Navbar section. Once a new window popup, you will see examples of navbar, look at the bottom and mark "Off" button, and click "Save"
Mark the "Off" radio button and click "Save". The window popup will close itself after you clicked that "Save" button. 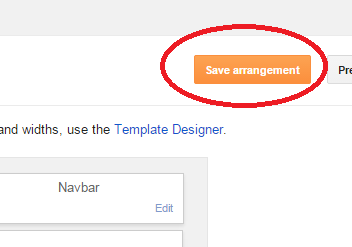 Once you're on your Layout Editor again, click "Save arrangement." Click "Save arrangement" once you've done all steps above. 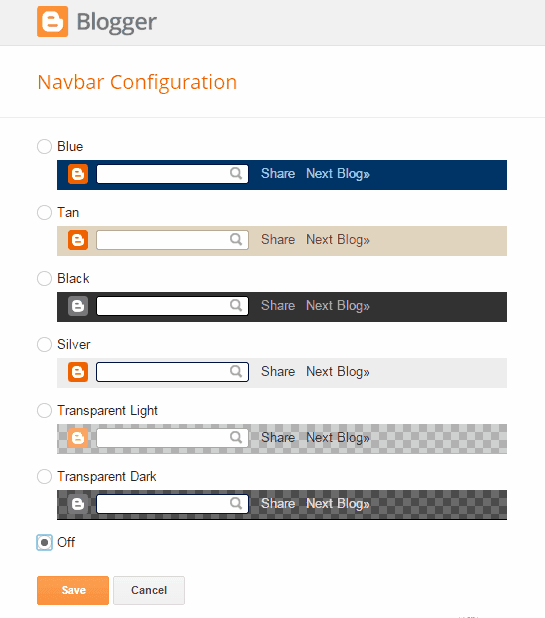 Now, visit your blog and you will not see any more Navbar. This manual method requires you to go to template HTML editor. 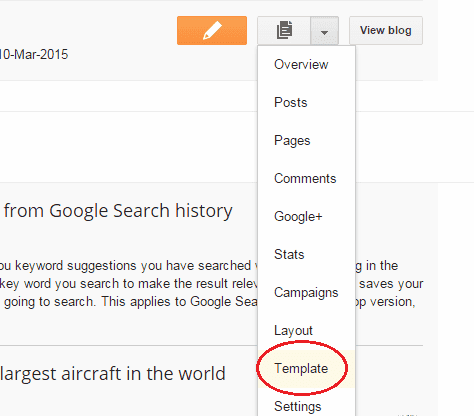 Go to your Blogger Dashboard, click on dropdown menu and click "Template." 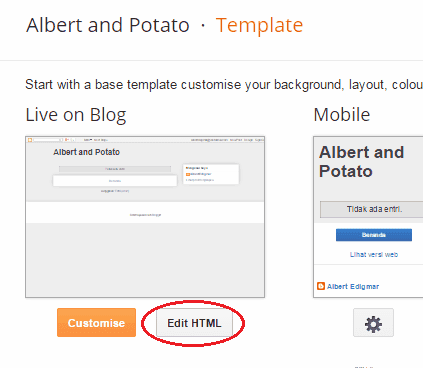 Click on template to edit your blog HTML. 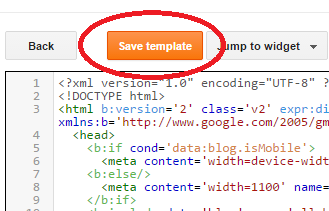 Then, a new page will emerge, click on "Edit HTML"
Don't forget to backup your template first. Copy all the codes into a notepad to backup the template manually. Hit CTRL + F to bring Search Box to ease you find the codes. copy and paste the green codes above and hit Enter on your keyboard. 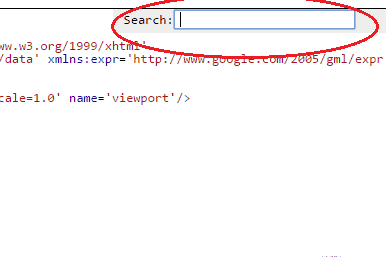 Search Box on Template Editor. Once you find those codes, replace with these codes below. And click "Save template" button. "Save template" button to save all the changes. If you have any question, please ask in the comment below. 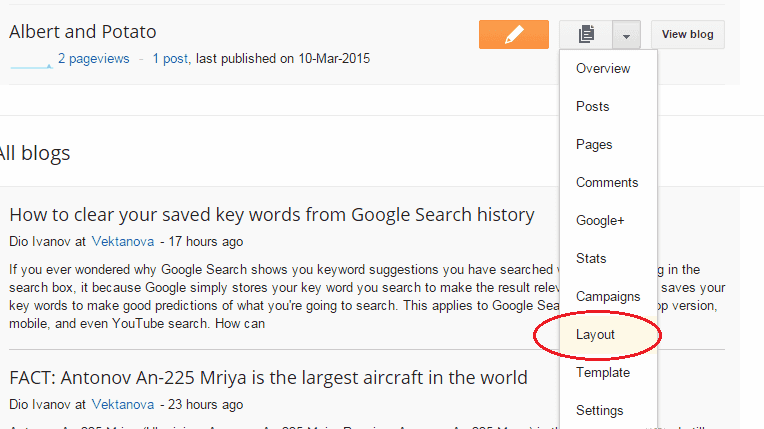 No response yet to "Disable Navigation Bar (Navbar) on Blogger"